DETAILS - This decorative candle is made of purified paraffin and decorated with pearl-like beads. Dye and varnish are used for creation of the candle. 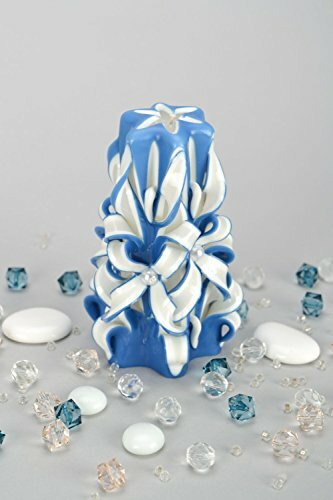 This color candle will be a beautiful gift for a woman. Women like to decorate the house so much!